Was Jesus really married to Mary Magdalene? // Did he father a child with her? // Did Constantine suppress the earliest Gospels and invent the doctrine of Christ's divinity? // Do the Gnostic Gospels represent the true Christian faith which the early church sought to supplant? 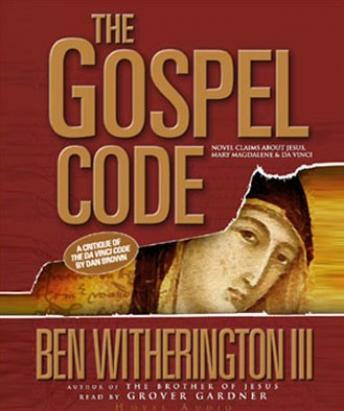 // The Da Vinci Code, in blurring the lines between fact and fiction, popularizes the speculations and contentions of numerous more serious books that are also attracting wide attention. How should we respond to claims that we now have documents that reveal secrets about Jesus, secrets long suppressed by the church and other religious institutions? Do these new documents successfully debunk traditional views about Jesus and early Christianity? // Ben Witherington III confronts these claims with the sure-footedness of a New Testament scholar, yet in the plain language that any interested reader can follow. He takes us back to the early centuries after Jesus' death and tells us what we can really know about Jesus, Mary Magdalene, the canonical Gospels and their Gnostic rivals.